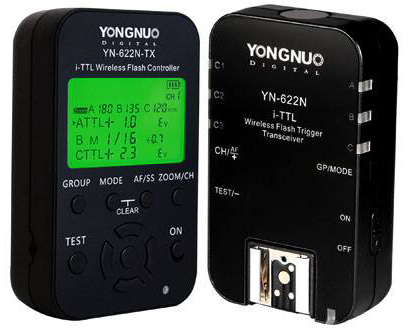 Yongnuo has officially announced the release of its YN-622N-TX Flash Controller, an improved transmitter for the YN-622 TTL triggering system. The Yongnuo YN-622 Transceiver, in its original form, has been around for a while now. 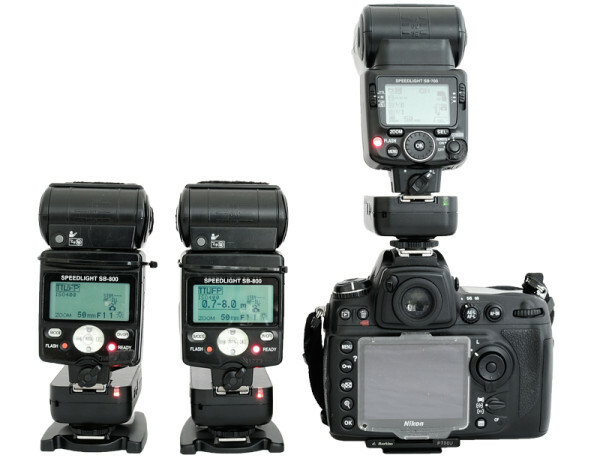 The Canon version, the YN-622C, gives photographers the ability to control wireless flashes directly from camera menus. Nikon cameras don’t offer the same menu system, but the YN-622N still lets you make adjustments via an extra master flash, or in “remote control mode” on the transmitter itself. You can trigger up to three groups of speedlights in TTL, manual or a mixture of both. The problem with remote control mode on the YN-622N is that you need to memorise a sequence of button presses to make any adjustments, and once you’ve done so there is no way to see your settings. Meanwhile a master flash adds a lot of weight, especially if you weren’t planning on using on-camera flash. Enter the YN-622N-TX. This is a dedicated transmitter for the YN-622N system, equipped with a backlit display and control panel so you can quickly review and adjust your flash setup with a bare minimum of fuss. In addition to the remote flash capabilities, the YN-622N-TX has a built-in autofocus assist lamp, a shutter release mode and “Super Sync”, a function that enables synchronisation with manual flashes and studio lights at fast shutter speeds. The product can be seen as an effort by Yongnuo to undermine rival flash systems such as the Phottix Odin, which offers a similar bevy of features including a transmitter with a screen. Though there is so far no Yongnuo flash with built-in TTL radio like the Phottix Mitros+, the company has a range of affordable TTL flashes from the YN-465 to the YN-568EX II that can be used with YN-622N transceivers. Available now, the YN-622N-TX is priced at $66.99. Unofficial reseller EachShot.com is offering Lighting Rumours readers 6% off with discount code YN622NTX4LR. Or you can check the official Yongnuo Store for listings. When you get your unit, new firmware is already available. You can download version 1.03 from the manufacturer’s web site.